The College of Social Work at The Ohio State University requires all students to complete human rights activities (HRA) each semester you are enrolled in field education. The purpose of HRA is to engage you in advocacy outside of the field placement, as well as to allow you the opportunity to provide volunteer services to those most in need. When we talk about advocacy, we mean advocacy on a macro level addressing issues for entire populations. When we talk about volunteering, we mean working on a more individual level to help individuals in need. For detailed information about hour requirements and approved activities, download our Human Rights Activities Policy here. 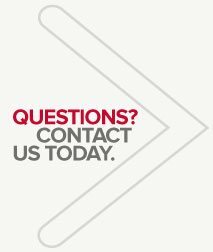 If you have any questions about HRAs, please contact your field liaison. If you’d like to submit an HRA, please go here to fill out the form. Please see the attached flyer for volunteer opportunities. You can go here to sign up to volunteer or for more information. Big Brothers Big Sisters' mission is to provide children facing adversity with strong and enduring, professionally-supported, one-to-one relationships that change their lives for the better, forever. there are currently 20+ children ready to be matched with a "Big" volunteer. See the flyer for a detailed description of the volunteer opportunities. Child Assessment Center playroom volunteers provide support and play to children at various stages of their assessment process. Main lobby volunteers engage patients waiting for appointments in the play room and assist the staff at the front desk. The mission of the CORRC is to provide a collaborative community response to human trafficking in central Ohio through education, services, advocacy, and prosecution. CORRC has volunteer opportunists for students who want to participate in human trafficking events including booth setup and information distribution at festivals and events. Please email Kathleen Martin for further information at M2h53d91@gmail.com. Part of the century-old settlement house movement, the CRC was organized in 1971 to promote a positive quality of life for residents of the Clintonville-Beechwold area. CRC responds to the needs of their diverse community to foster safer, healthier, and empowered lives. There are lots of opportunities available! To sign up to volunteer, contact Katie Palmer at crcvolunteers@clintonvillecrc.org or 614-268-3539. Volunteers are needed at CMAA, which is a local agency that assists refugee and immigrant families with adult education, resettlement, access to community resources, etc. Volunteers are needed Monday through Friday from 3 PM to 5 PM to help children K-8 with homework after school. There are multiple volunteer opportunities available. No weekly commitment is required, although the children will compel you to return! Volunteers are also needed every Wednesday from Noon to 5 PM for Mid-Ohio Food Bank distribution. The address for this opportunity is 2150 Agler Road, Columbus, Ohio 43224. Those interested in either opportunity can email Sean Young at syoung@cdcheadstart.onmicrosoft.com. Do you like the library? There are many different volunteer opportunities available at the Columbus Metropolitan Libraries. Check them out here! Our organization hosts a variety of nonprofit programs in efforts to build and strengthen the South Side community in Columbus. One such opportunity is volunteering at All People's Fresh Market. Our market is currently the largest distributor of free produce in all of Central Ohio. Opportunities within this market include greeter, stocker, member support, program support, and data entry. We currently need the most support during our early afternoon shifts, but have opportunities 7:30am-5pm Monday-Friday and 9am-1pm on Saturdays. Our address is 945 Parsons Avenue Columbus, OH 43206. You can check out our website for more information here. If you have any questions, please contact Nathan Whitford. CRIS' mission is to help refugees and immigrants reach and sustain self-sufficiency and achieve successful integration into the Central Ohio community. CRIS’ new program, Community Connectors, is currently looking for mentors for the 2016-2017 academic year. The program would pair a potential mentor with a middle/high school refugee student, most likely currently studying at Columbus Global Academy. Students at this school are emergent bilinguals, studying English intensively for 1-2 years before entering another school in the district. We are looking for mentors who can meet with these students at least once a week for a full year. Click here for more information! Compassion Outreach Ministries of Ohio is seeking volunteers for a drop-in shelter serving victims of human trafficking. They are in search of social workers that would be willing to offer services to the women that come through the shelter. Opportunities are available to both licensed social workers and students working towards a degree in social work or related field. Please contact Kate Sampson at 513-633-0052 or via e-mail at sampson.150@osu.edu for additional information. Faithful Forgotten Best Friends needs your help to feed downtown Columbus and Franklinton's pets of the homeless. Volunteer opportunities include: helping to distribute food to pet owners, picking up pet food and other donations from drop-off points, transporting pets to and from clinics, helping with publicity, assisting with fundraising (events, donations jar distribution, donation inventory, etc.) or willing to help wherever you're needed. Please visit the website for additional information. Visit the website for more information or see the attached flyer. Gladden Community House is seeking volunteers to help with senior deliveries on Fridays. Contact Kim Addams at 614-228-2498 for more information. Gladden Community House is seeking volunteers for our pantry on Monday and Friday on an ongoing basis (weekly, biweekly, monthly, etc). Pantry hours are 9 AM - 3 PM. Need volunteers to greet and check clients into the computer up front. Gladden Community House is also seeking volunteers for our after school program from 3:30 PM - 5:30 PM. If interested, email Lindsay Blackburn at lindsayblackburn.gch@gmail.com. Heartland hospice provides extended services to people who have been diagnosed with a chronic illness. Heartland provides physical, emotional and spiritual support for our patients and caregivers. We offer various opportunities for students to get involved. Training and support is offered throughout the volunteer period. Are you able to commit to at least one hour per week at a location and time that is convenient to you? Please see the flyer for additional information. The Greater Hilltop Shalom Zone is comprised of like-minded people of faith and conscience invested in developing the spiritual, economic and communal well-being of local neighborhoods. Please see the flyer for more information. The Homeless Families Foundation (HFF) was created by volunteers in 1986 and people from all walks of life come together to help families in need become self-sufficient. Some opportunities include: reading to children, stocking shelves or working the holiday store. You can learn more here. For questions or further assistance, reach out to Genevieve at 614-715-8551 or gvillegas@homelessfamiliesfoundation.org. Joseph’s Coat is a faith-based nonprofit that offers stepping stones to self-sufficiency to families and individuals in the community. They offer free furniture, clothes and toiletries. Volunteers are needed Wednesday and Saturday mornings from 9 AM to noon, as well as on Tuesday and Thursday evenings from 6 PM - 8 PM. For more information, click here. Meals-on-Wheels delivery – Volunteers deliver a hot nutritious meal to our home-bound or medically challenged clients. Each route lasts approximately 60 to 90 minutes and delivers meals to twelve to fifteen clients. Volunteers would drive their own vehicles and training would be provided for these volunteers on the day of the event as well. We ask that volunteers deliver with at least one other person to make the delivery process smoother. Meals-on-Wheels Production Kitchen – Volunteers help with portioning food into the three-compartment meal trays, wrapping slices of bread and/or other activities to support the production process. This kitchen is located at our 1699 W. Mound St. location. Meals-on-Wheels Distribution Kitchen – Volunteers will help to pack meals into coolers or meal bags, according to route needs. Depending on the needs of the day, they also may help to bundle side items (fruit, sides, beverages, menus, etc.) in preparation for routes to leave our Distribution Facility. This kitchen is located at our 670 Harmon Ave. location. Groceries-to-Go Pantry – Volunteers help to organize and stock inventory according to categories (fruits, vegetables, pasta, etc. ), bag grocery orders for pick-up and distribute orders to clients that come to pick-up filled orders. This pantry is located at our 670 Harmon Ave. location. Please review the volunteer application for additional information. The Learning in Fitness and Education through Sports (LiFEsports) Initiative is a sport-based youth development program at OSU. One component of this initiative, the Youth Leadership Academy (YLA), is a collage and career readiness program which serves about 60 diverse, urban, high school Columbus youth each year. YLA juniors and seniors will be paired with college students or professionals to engage in college readiness activities. Please see the flyer for the requirements to become a mentor. For more information or to fill out an application, click here. Please check It's Your Race and Ohio Runner for local races to participate in or volunteer for! Moms2B is a community-based, weekly prenatal education and support program focused in Columbus' low-income, high-risk neighborhoods. Moms2B has partnered with The Mid-Ohio Foodbank to bring fresh food to those most in need. They are looking for volunteers to help with program set up and clean up, including unpacking fresh food and assisting program participants with shopping. Please contact Moms2B at Moms2B@osumc.edu or (614) 292-1605 if you are interested in volunteering. Please see the attached flyer for more details. There are countless ways you can make a difference: from sorting and packing groceries to contacting an elected official to discuss the importance of emergency food in our community. Please click here for more information. In Ohio, far too many people struggle to meet their basic needs. The process of getting medical assistance, buying food, making ends meet and even knowing where to go for help can be confusing, intimidating, time consuming and embarrassing. The Ohio Benefit Bank (OBB) removes these obstacles – bringing people closer to stability and closer to self-sufficiency. See the attached document for a list of agencies requesting volunteers. Please note, students must be certified as an OBB counselor to participate in this opportunity. The OSU Nisonger Center has a program looking for volunteers: Friendship Connection. FC hosts social events in Franklin County for adults with intellectual and developmental disabilities. Students will engage Friendship Connections members more fully with each other, the community, and activities. While FC hosts three or four events each month, students are asked to commit to a minimum of two events per semester. Training and support are provided, but a background check is required. The events will be at various times and locations. You can find more information on this opportunity by going to their website here or contacting Karen Krainz- Edison at Karen.KrainzEdison@osumc.edu. Are you looking for a way to give back? Do you have one hour to spare each week? The Next Chapter Book Club is for you! NCBC is an innovative program of Ohio State’s Nisonger Center that promotes literacy, socialization and community inclusion for people with developmental disabilities. Clubs meet weekly in coffee shops and cafés. We are looking for volunteers to serve as group facilitators. To volunteer, please contact Jillian Ober at jillian.ober@osumc.edu or 614-685-6718. You can also visit here for more information. Social Change is a department within the Office of Student Life at OSU. As part of the University’s motto, "Education for Citizenship", the Department of Social Change exists to advance the well-being of the people of Ohio and the global community through the creation and dissemination of knowledge. They work to connect OSU with communities, focusing specifically on programming for individuals, families and entire communities facing poverty and its consequences. For more information, please click here. Mondays, Tuesdays, Wednesdays, and Thursdays from 3 PM - 6 PM or 4 PM - 7 PM. Times vary slightly for each library. Transportation can be provided. Please e-mail sl-socialchange@osu.edu if you are interested. The Salvation Army is an international Christian organization that confronts poverty in all its forms, empowering the vulnerable to find dignity and hope through changed lives. The organization also plays a major role in providing disaster relief. If you're interested in volunteering, please click here. S.T.A.R Senior Services is looking for volunteers serving the senior community. Please see the flyer for details. Your Night Out is a program through the student organization Students Supporting People with Down Syndrome that provides volunteer babysitting services to families of children with Down syndrome around Columbus. The children range in age from ten months to fourteen years old and are always super excited to have our sitters come over! We have over 70 families in our system and therefore need volunteers like you! YNO runs on one Friday and one Saturday night a month from 5 PM - 10 PM, but you only have to pick one date. Volunteers are always paired with another sitter in the program, so tell your friends and we can send you both together! An evening babysitting with YNO involves playing with the child with Down syndrome and their siblings, watching movies, having dinner and more fun activities to help parents in need have the opportunity to have a night to themselves. Please e-mail Shannon Thomas at Thomas.3182@osu.edu if you’re interested and want to learn more! For many in our community surviving on low and moderate incomes, tax time is a critically important financial moment. A number of refundable tax credits, including child tax credits, the Earned Income Tax Credit (EITC) and education credits help to bridge the gap between what working families earn and what they need to survive. Tax Time provides free tax preparation services to make sure families can file safely, claim the credits they deserve, and not pay anything to do so. With the help of over 500 dedicated volunteers, Tax Time operates tax assistance sites throughout Franklin county during each tax season. If you are interested in volunteering opportunities with Tax Time, check out our website here or email Sally Levy at sally.levy@uwcentralohio.org for more information. ViaQuest volunteers are dedicated and caring people from the community who have the ability to listen sensitively and have an awareness of personal boundaries. Our volunteers undergo a comprehensive training program with an emphasis on compassion and caring with the goal of providing the best assistance to our patients and their caregivers. There is a wide range of opportunities, including assisting patients and their families, providing information, and being a source of encouragement at any point for those who need it. Please click here for more information. Check out VolunteerMatch for even more volunteer ideas in your area!